“Music Rescues Me” is the single trailblazer for Paul van Dyk’s ninth studio album of the same name (to be released this fall). It reunites the internationally renowned music producer with collaborators from not one, but two of his best loved recent times releases. For the track’s vocal, Paul is joined by Plumb, the singer who rendered 2012’s “I Don’t Deserve You” much of its emotional punch. “Music Rescues Me” was co-penned by the lyricist behind latter-day van Dyk anthem “Home”, Snow Patrol member, and long-time personal friend, Johnny McDaid. Paul & Plumb’s shared history reaches back three whole PvD albums, to EVOLUTION and I Don’t Deserve You. Beloved by fans from both respective quarters, the pair stayed in close contact, looking for the right project to resume the partnership on. That came following a song-writing session between Paul and Johnny. “It took a little while, but in ‘Music Rescues Me’, I knew we had the right follow-up for Plumb,” Paul says. Set amidst epic, reverb-rich guitars strains and dynamic rhythms, “Music Rescues Me” is a track whose rapturously positive-thinking/feeling chorus is only equalled by its imaginatively stimulating verses. Paul & Plumb’s “Music Rescues Me” is out now through VANDIT Records, and we’re thrilled to be sharing the tranquil yet energetic music video with the world. We’re honored to be working with Paul van Dyk and Plumb, and we hope you embrace the new clip for “Music Rescues Me”. We’d love to see this video added into your cherished programming and online presentations in a timely fashion! Rest assured we’ll have plenty of Paul Van Dyk merch available for on-air contests and giveaways so don’t hesitate to get in touch. Paul recently received the Trance Master Award at the 21st annual DJ Awards, and the Music Rescues Me launch show will take place at new London club titan The Printworks on the album’s release date, October 12. For more information on Paul Van Dyk please contact Andy Gesner and the HIP Video Promo team at (732)-613-1779 or email us at info@HIPVideoPromo.com. You can also check out www.instagram.com/PaulvanDyk and www.facebook.com/PVD for recent updates on Paul Van Dyk and visit www.PaulvanDyk.com for more info. Check out www.instagram.com/plumbmusic and www.facebook.com/plumbmusic for recent updates on Plumb and plumbmusic.net for more info. 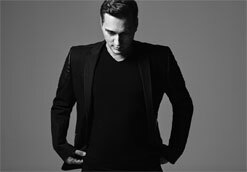 For info about other Paul van Dyk videos, click HERE.